U&I is now recruiting volunteers! Give 2.5 hours a week for 9 months to teach an underprivileged child! Be a Leader with U&I! Lead a group of crazies who are absolutely passionate about changing the world! If you're looking to do something meaningful and exciting this summer, U&I is the right place to be! Here's whats been happening at U&I between April 2017 and March 2018! Through our after-school learning program, U&I Teach invests in children from underprivileged backgrounds with courses in English, Math, Science and Social Studies. Under this umbrella, we also run 360 Program where children are given a holistic education through science camps, field trips, art workshops and career building workshops, in order to build their confidence. Today, U&I reaches 1600 children in 18 cities across India. Our goal is to give every student the opportunity to shine in the classroom - and beyond. At U&I Care, our vision is to transform institutional care in our country. U&I assists in the care and rehabilitation of 85 mentally challenged and 100 special needs men at two Bangalore-based, state-run residential facilities. With nineU&I staff working full time on the ground in these Homes, we provide medical care, physiotherapy, occupational therapy, speech therapy and grooming for the residents, many of whom have been abandoned by their families. Our volunteers also spend time with these residents every week, giving them the social interaction that they crave. Our goal is that each of these differently-abled individuals would live to their fullest potential. You can change a life by sponsoring a child's education or medical care. who are changing the world today. 2&1/2 hours of your week can alter the course of someone else's life. Sign up for our Heart For One Monthly program and donate Rs. 970 per month for 12 months. 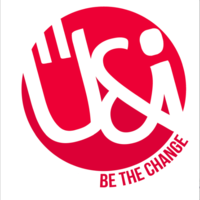 U&I is a volunteer-driven charitable organization based in Bangalore, India. The vision for U&I was inspired when our Co-founders, Ajit Sivaram and Satish Manchikanti, along with a few friends, would visit the Institute for Mentally Handicapped Children every Sunday. The group would hang out with the special needs boys at the Home, playing games with them or spending time cleaning the compound. They realized that ordinary people coming together can make a huge difference in the lives of the neglected. Over time, the handful of friends grew into a 50+ strong volunteer group. Around the same time as this social outreach, Satish ran a successful HR business. After discussions with Ajit, he decided to use the office space to conduct computer classes in the evening for children from a nearby slum. It was here that U&I was birthed. With the heart-warming response from volunteers and the students, Satish and Ajit decided that the idea of teaching kids through volunteers was worth pursuing. That was back in 2011. Today, U&I reaches 1600 children in 50 Learning Centers across 18 cities in India through our Teach program. We work with 1500 volunteers who give their time, talent and energy so they can be the change. We continue the work that was started in the Home for special needs boys, now expanding our Care program to 4 other Homes. We continue to believe in the potential of every child we reach. We continue to hold firm to the idea that, together, we can make a difference. Stories from our centres across India! Send us your questions, comments and feedback! In accordance with the Rule 13(a) of the Foreign Contribution(Regulation)Rules, 2015, the audited financial statements pretaining to the foreign contributions is given below. This is solely for the purpose of complying with the requirements of the above said Rule. This should not be copied or misused for any purpose. These organizations vetted us and gave us a thumbs up! Fueling dreams. Creating incredible impact. Together.